There many different types of houses that you should know about prior to buying a house and selling your old house. You should consider each houses’ characteristics and see which best suits you and your family before committing to a decision about what type of property you would like to buy. 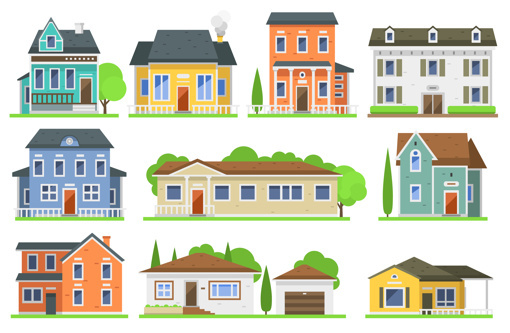 The types of houses vary in size, design and value. So, what types of houses are there in the UK? These types of houses are most popular in more urban/city-like areas such as London and Birmingham. This is because they save a lot of space and provide accommodation for many people within a single building. A block of flats has multiple flats within it, depending on the height and overall size of the building. This type of property is ideal for a smaller family, single person or someone on a lower income. 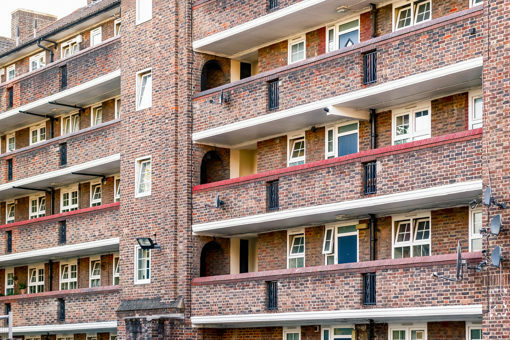 A different type of flat that exists in the UK is the 2-level flat (also known as a maisonette or duplex flat). 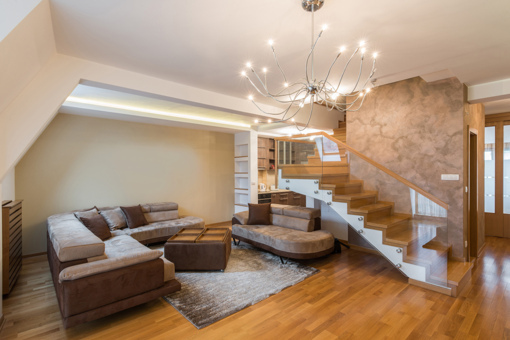 These are types of flats which contain two floors within one household, meaning that they have a built-in staircase and their overall living space is split into two levels rather than just on the one, like in a typical flat. Another property type is the studio flat. This sort of flat combines a kitchen, bedroom and living space in one large open space. A studio flat would be ideal for a single person or a couple as there is usually not enough room for a whole family and the space is not separated by any rooms. This is not your typical ‘flat’. 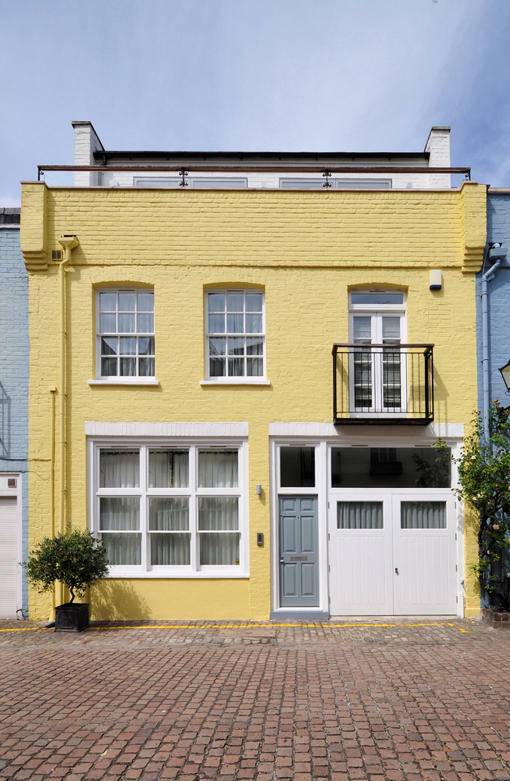 It is characteristically an older, larger house which has been split into two houses – the top floor and ground floor (also known as a ‘period conversion’). Converted flats aren’t always split into two, depending on the initial size of the house, they can be divided into several households. Residing in this kind of property can be extremely noisy. This is because the house was originally built for a whole family and so is not made as soundproof like newer ‘blocks’ of flats would be. Also included in our list of the different types of houses is the detached house. Detached houses are single houses which are not connected to another house or building and consequently, these houses are viewed as more private. This type of house, more often than not, has both a large front and back garden as well as a driveway, as its space is not restricted by other buildings nearby. These properties are usually extremely expensive but are a common choice for those with larger families. 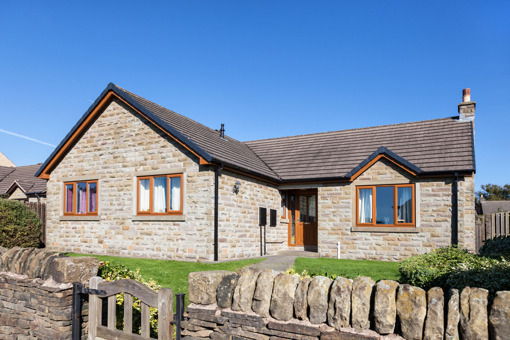 Another house type that is similar to the popular ‘detached house’, is the semi-detached. 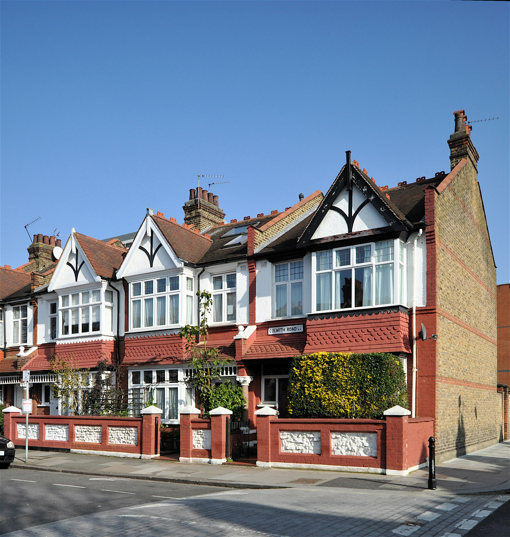 Semi-detached houses are simply coupled together via a wall on only one side. This saves more space on the given road. These types of houses are often much cheaper than the detached houses due to the house not being as private. This property type is attached, on both sides, to other houses. A terrace house is on a row of comparable houses attached to one another by their side walls. These are very popular type of houses in the UK and are especially prevalent in larger cities with denser populations making them a common source of accommodation for the working-class centuries ago. 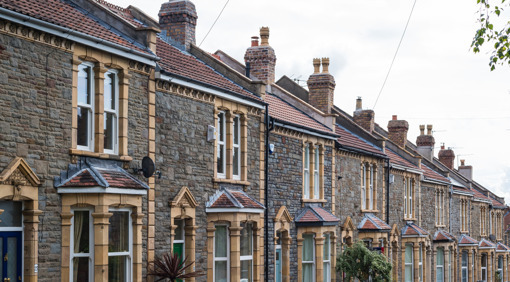 This particular property type saves a lot of space (not as much as a block of flats) and if you’re looking to buy a house, a terraced house tends to be on the lower scale of the price range. 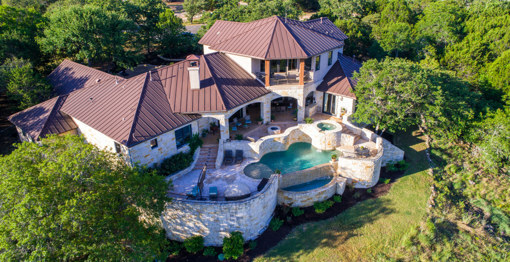 It’s easy to guess what type of house this is. Correct – the end of a line of terraced houses. 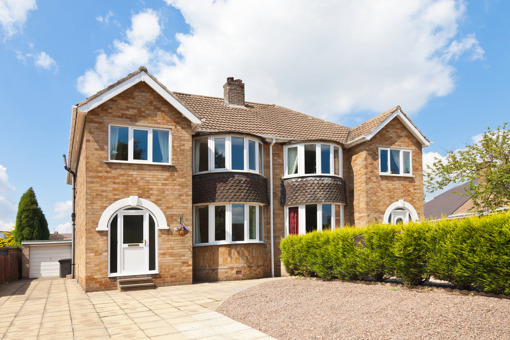 This has very similar properties and features to a semi-detached house. This type of house only shares a wall on one side and not on the other. These property types are often seen in more rural areas; on farms and in the countryside. 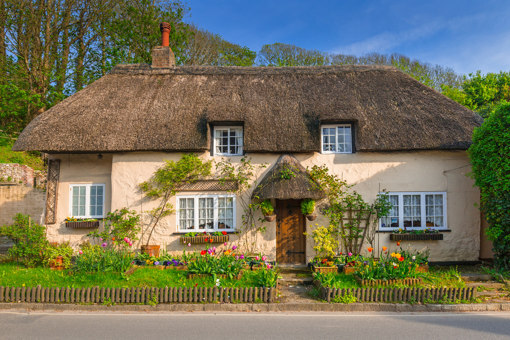 A cottage is a small house, typically quite old-fashioned. These sorts of houses can have either one or two storeys, with the second level usually being smaller than the ground level. This type of property has very thick, strong walls which succeed in enduring the cold in the winter months. In addition, this type of house can often be used as a holiday/summer home for families who wish to spend time in a more rural, natural area – away from the busy cities. This type of home is quite unique. It is a single-storey house and is also detached from other houses. It is a shorter-looking house due to a lack of a second or third level. However, occasionally, bungalows have a room or two based in the ‘roof’. The origin of the word ‘bungalow’ comes from the word ‘baṅglā’ which means ‘belonging to Bengal’. This is because bungalows were first built for Europeans who settled in Bengal in the 17th century. A mansion is the largest house of them all. This house is also the most expensive out of all the different types of houses in the UK. This is usually a place full of rich residents. The typical mansion consists of multiple large rooms, many floors and a huge garden, composed of many acres of land. If you’re lucky enough to own a mansion, you will most probably have a pool, if not two (indoor and outdoor). 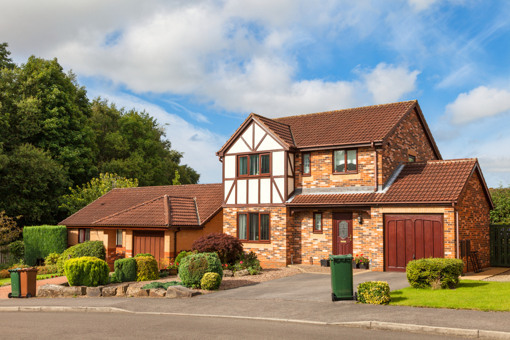 These are the main different types of houses found in the UK. Choosing the right property type can be a difficult process as there and pros and cons to all kinds of housing. However, it is important to be familiar with all the different types of houses, so you can make a well-informed decision about what your next house should be. If you’re looking to sell any of these types of houses, FastSaleHomes buy any house!